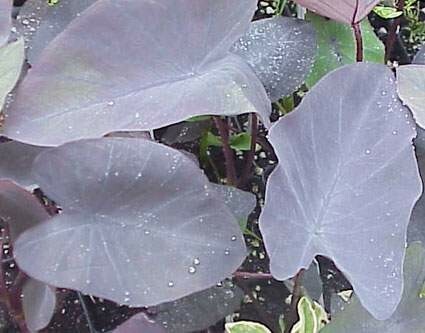 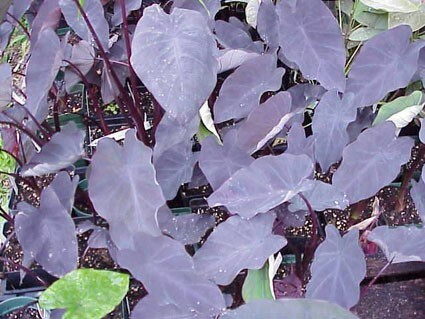 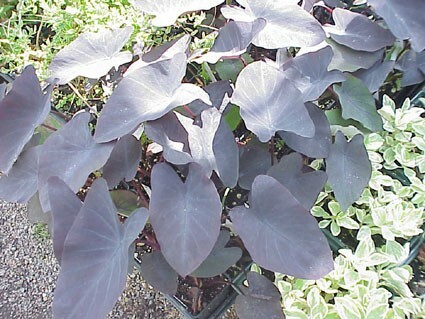 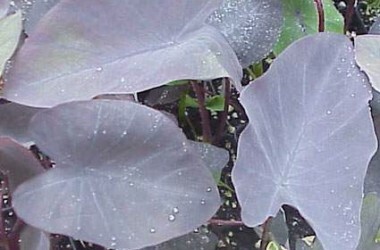 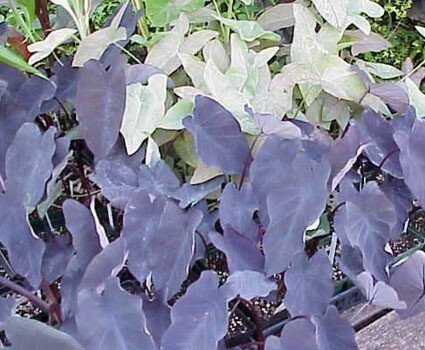 (The correct original name is C. jenkensii 'Uahiapele') The solidly dusky deep purple leaved taro creating a sensation in the garden & conservatory alike; also sold as 'Cranberry,' & 'Black Magic.' 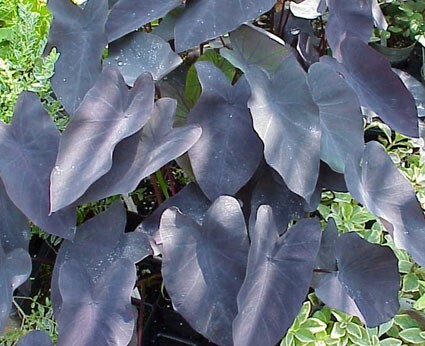 Very happy as a semi-aquatic--will maintain foliage readily in the warm winter greenhouse as long as it is given consistently wet warm feet. 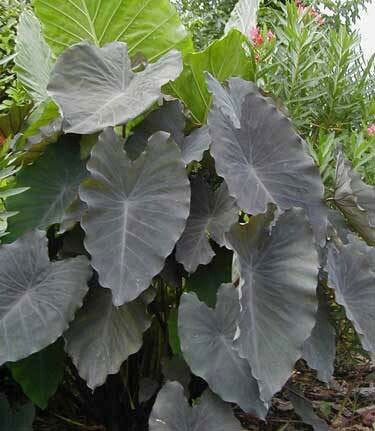 See Alocasia plumbea nigra if you are searching for the larger, glossy foliaged "Black Elephant Ear."